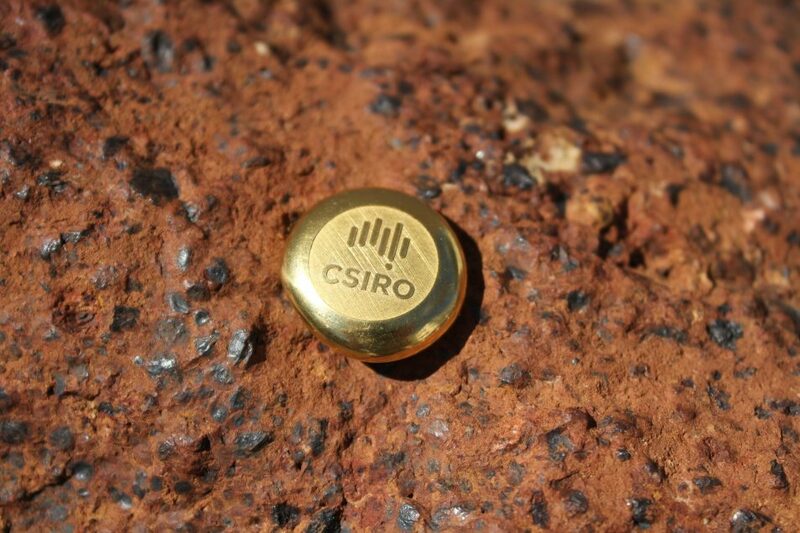 A one-ounce gold ingot showcases CSIRO’s cyanide and mercury free process. When talking about gold, all that glitters is most likely produced using cyanide. Over 90 per cent of the world’s gold extraction processes use cyanide, a toxic chemical which can have disastrous consequences if mine tailings (by-products of the mining process) are not managed properly. In response to recent spills of toxic cyanide, several regional agencies in the United States, South America and Europe have banned the use of cyanide for gold extraction. Finding a non-toxic alternative therefore makes good environmental and economic sense. We’ve developed a gold recovery process that replaces cyanide with a non-toxic chemical reagent.This alternative chemical reagent contains thiosulphate, which dissolves fine gold out of ores into a solution which can then be recovered through further processing. 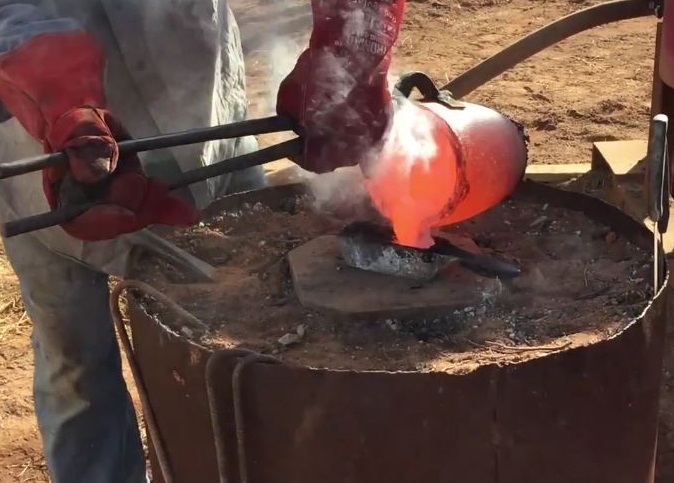 We teamed up with small gold miner Eco Minerals Research to test out the process at a demonstration plant in the Western Australian goldfields town of Menzies. While the method has undergone decades of intensive testing in the laboratory, the Menzies demonstration has up-scaled and brought the process into an Australian industrial setting. And the results have been promising. After just 10 months work enough gold has been extracted using the thiosulphate process to pour the first cyanide-free gold. The first cyanide-free gold using this technology marks a major milestone for Eco Minerals Research as they become the first Australian producer to go cyanide-free. It may also be a game-changer for Eco Minerals Research who has its sights set on becoming one of the world’s first green gold producers. The $2.1 million demonstration project was made possible through $860,000 in funding from the Science and Industry Endowment fund (SIEF) and an Australian Government Innovation Connections grant. First cyanide-free gold poured at Eco Minerals Research’s demonstration facility in Menzies, Western Australia. Our research team behind the innovation has already had commercial success with another tailored cyanide-free gold solution developed with Barrick Gold specifically for their Goldstrike Mine in Nevada where it has been used for nearly four years to maintain production rates. With Australia being the world’s second largest producer of gold, our latest cyanide-free gold achievement shows our ongoing commitment to support industry, both domestically and internationally, by overcoming a range of health, safety and environmental risks and associated regulatory obstacles. And our process is customisable. Our testing shows the technology can be applied to a range of different gold-bearing ores and we’ll be focusing on further trials on other gold deposits. Not only that, our process is mobile and so can be relocated to other mine sites. Our teams are going for gold and reaching podium position in new gold discovery and processing techniques. how do I get one, or two, of these little beauties?